Sending telegrams for a wedding can be memorable forms of communication for guests, attendants and engaged couples. People are embracing this nostalgic way of correspondence to serve a number of wedding purposes. Telegrams used to be common modes of correspondence for various special occasions. Samuel F. B. Morse sent the first telegraph message in 1844 from Washington, D.C. to Baltimore. Later, he developed the concept of a network of stations that could send and receive messages through the telegraph system. The development of the telegram offered a viable approach to sending information very quickly, making the mode of communication ideal for wedding correspondences. People readily embraced this mode of communication to offer messages of congratulations and to announce the special occasions. Unfortunately, the telegram became the bearer of bad news during wartime. During World War II, this type of correspondence informed families that their sons and husbands serving in the military were killed or missing. Gradually, the telegram fell from favor. 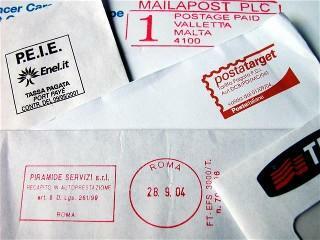 Western Union stopped sending telegrams in 2006 and the US Post Office no longer provides the service, either. However, there are still options to consider if you would like the memento to be part of your celebration. Telegrams truly make the occasion stand out. This old-fashioned form of communication offers a traditional feel and a sense of nostalgia that is fitting for many wedding themes. Brides can opt to use telegrams to announce engagements. This approach is wonderful because it offers a unique way to convey the message to a many people or to a select few. The telegrams may or may not be followed by similar wedding invitations. The telegram makes an unusual presentation for Wedding invitations that is quite memorable. Brides can choose nostalgic wedding invitation phrases for their correspondences as well, if desired. People receiving invitations typically have the option of sending their RSVP via telegram as well, and it is prudent for couples to arrange to pay the return sending fees if this is the option they prefer. Many brides choose to send save the date messages prior to sending wedding invitations. Telegrams work very well for this type of correspondence because they have such an impact, making them particularly memorable. There is no need for RSVP enclosures, either. Those invited to a wedding may send notes of good will in spite of their inability to attend the affair. Telegrams are unique because they offer the message in a format that can be used as a keepsake. Creating a wedding scrapbook is a true labor of love. Brides have many scrapbook keepsake ideas to consider. A telegram is an interesting addition to a scrapbook commemorating the special occasion. The note offers traditional appeal and an element of formality that makes it very appealing for a sentimental compilation. Brides and grooms have access to a number of different options even though the Post Office and Western Union no longer send wedding telegrams. The correspondences can serve as wonderful time management tools that offer a fast way to make announcements of send notes of congratulations quickly. Technological advances may be very convenient, but they have lost some of the personal charm that traditional modes of communication emulate. Wedding telegrams appeal to creating an event that is truly personal and memorable>.